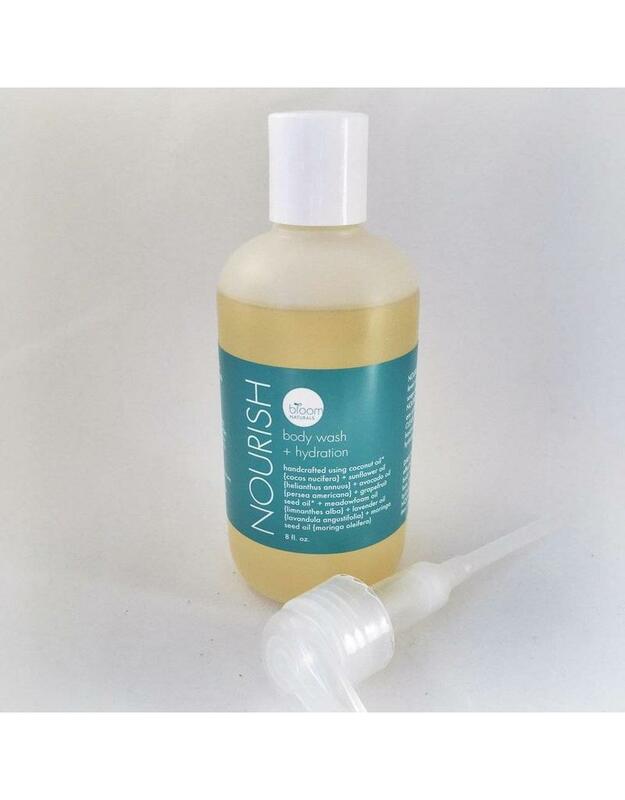 NOURISH is handcrafted to balance oil and pH levels while hydrating skin of all types. Because soap strips the skin of natural oils and nutrients, use NOURISH to cleanse and hydrate your body. NOURISH is an excellent product to keep your skin hydrated all year long. It's easy to use and won't leave an uncomfortable residue like traditional lotions. This product is very unique. You apply it after showering or bathing while your skin is still warm from the water before you dry off. Storage: Store between 65 and 85 degrees, away from direct sunlight and enjoy within 5 months of purchase. The consistency of NOURISH will change based on the temperature in which it is stored. This in no way affects the purity of this product, but is due to the fact that it is not made with fillers to make the consistency creamy at all temperatures. Body moisturizer... while you can apply NOURISH at any time, your skin absorbs nutrients most effectively after a warm shower or bath. 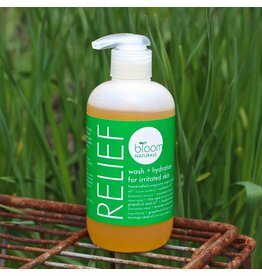 Because of this, Bloom Naturals recommends applying NOURISH on the body after a shower or bath but before toweling off. Hydrating face cleanser...soaps strip the delicate facial skin. To use as a hydrating alternative to soap, gently massage Nourish on skin that is warm and wet, rinse (although you will still feel some on the skin), towel off and apply daily moisturizer. NOURISH even removes eye make-up using caution not to get in in eyes. Scalp treatment (even on dandruff)... apply liberally on the scalp, massage in, and let it penetrate for 15 minutes then follow with your normal shampoo. For an added moisture boost, warm up scalp in the shower, apply, then add a shower cap for 15 minutes. You may need to shampoo a few times to remove NOURISH from hair. Add to bath... use in place of bubble bath which can dry out skin. Add to bath and emerge with the softest of skin. Works wonders on African hair to moisturize and prevents breakage. Safe to use on your children’s' soft skin as well.